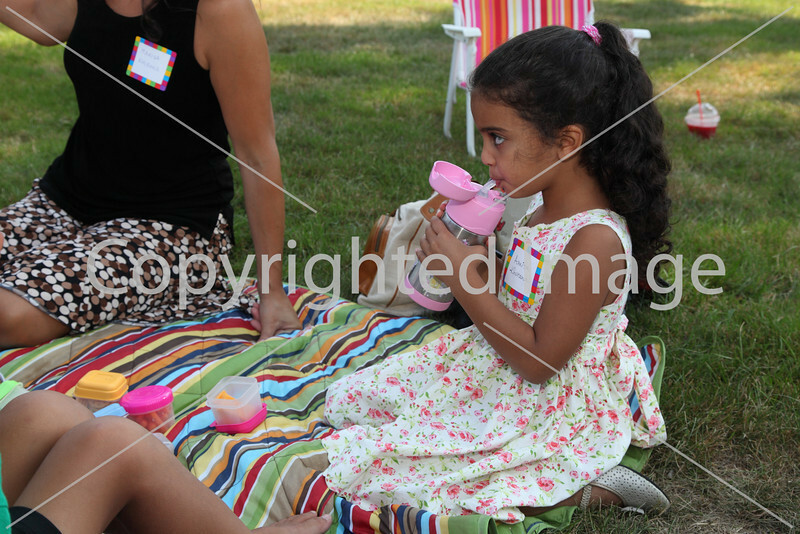 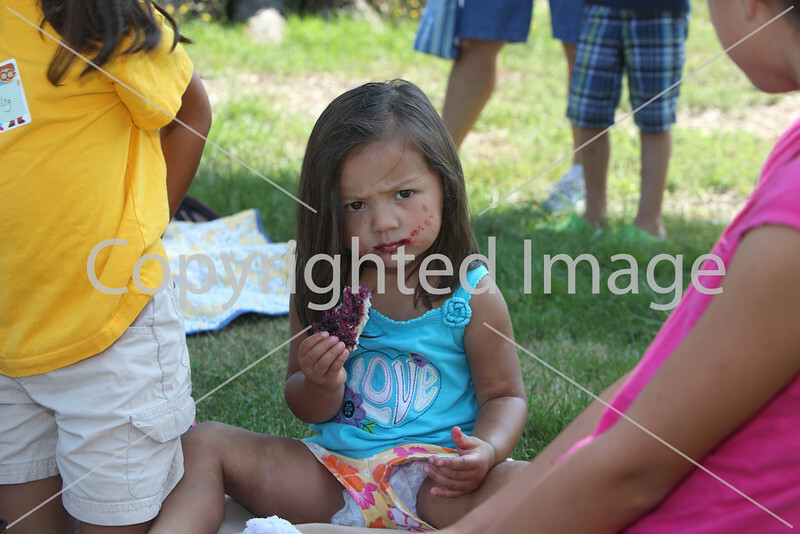 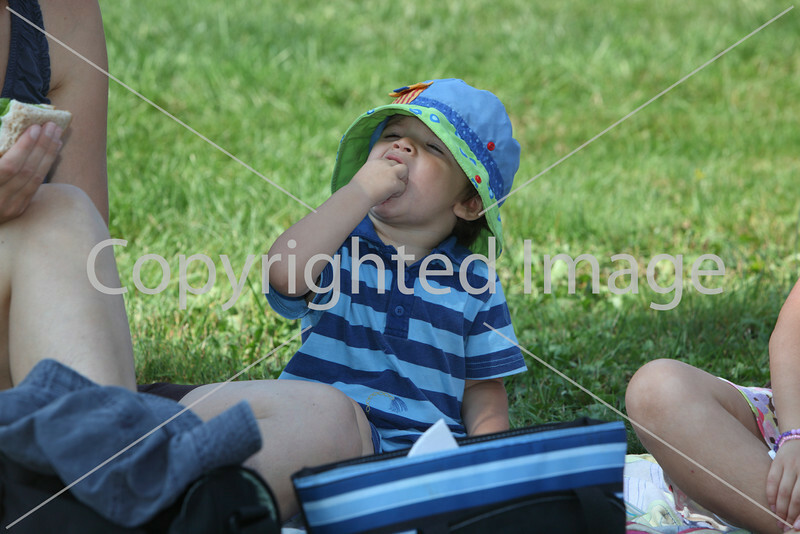 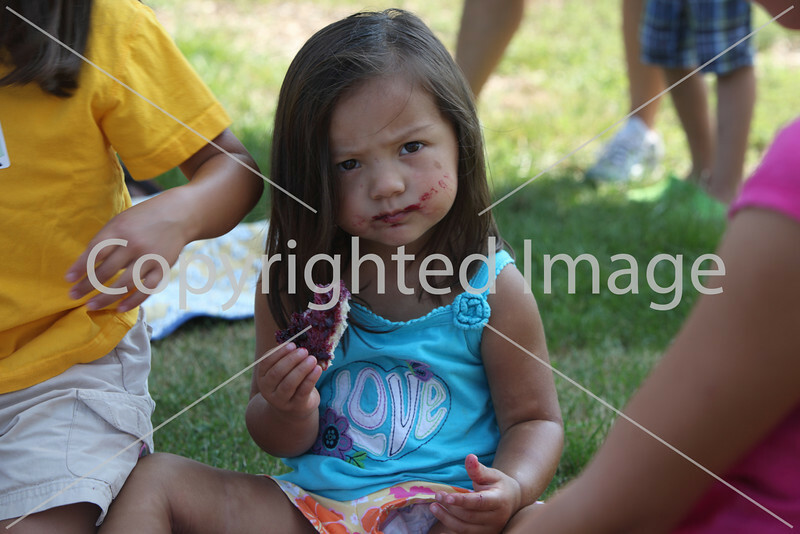 Incoming kindergartener Asha Khurana shows off where she had two teeth pulled the day before the picnic. 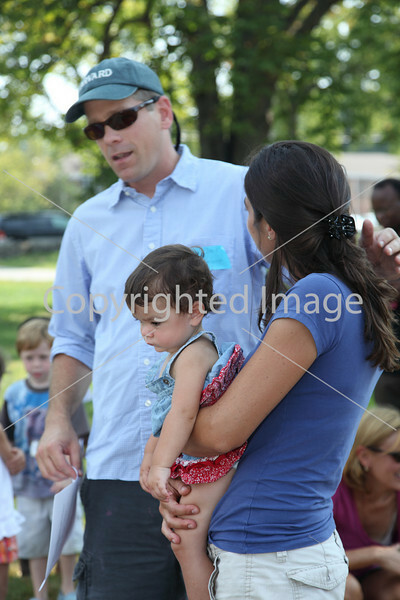 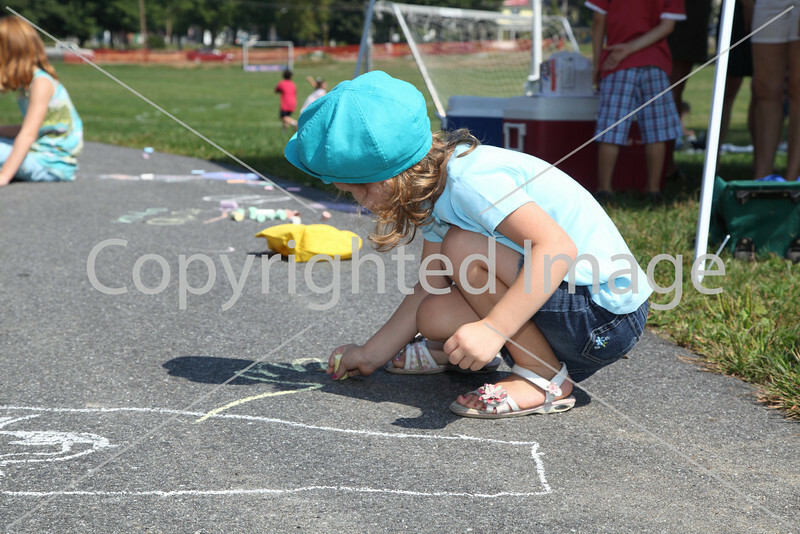 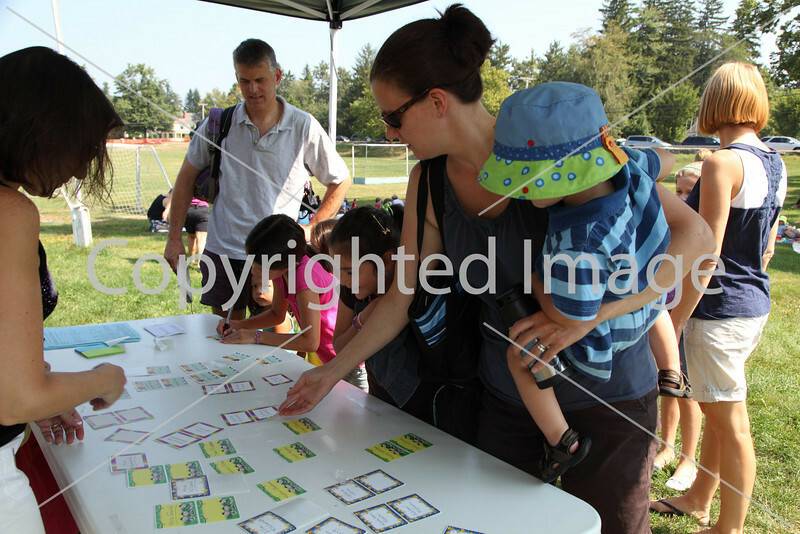 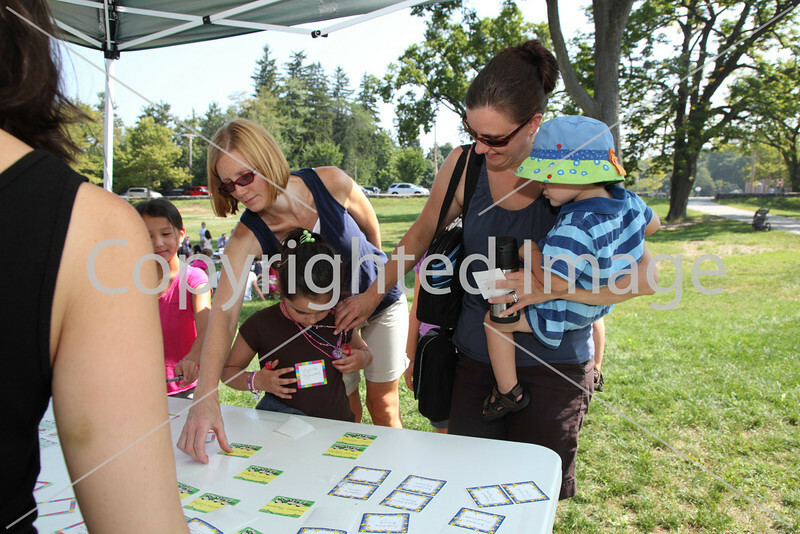 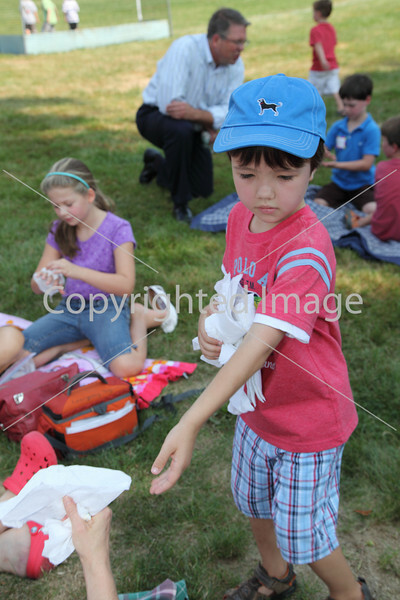 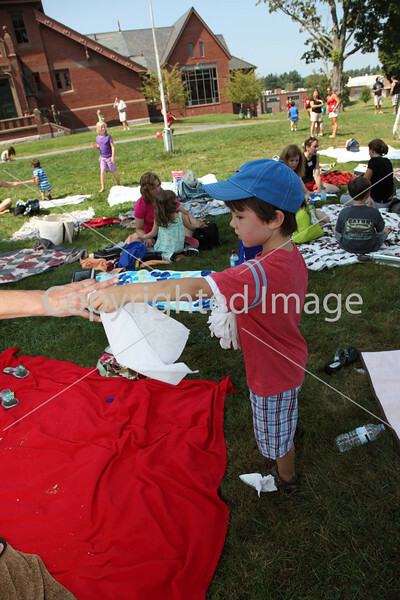 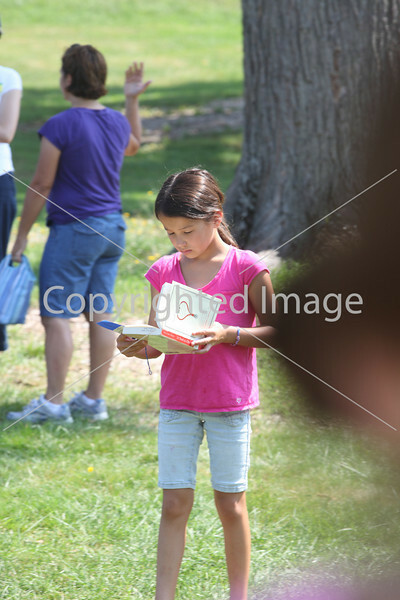 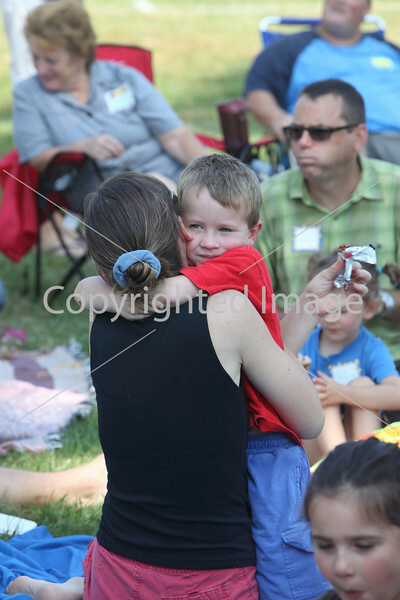 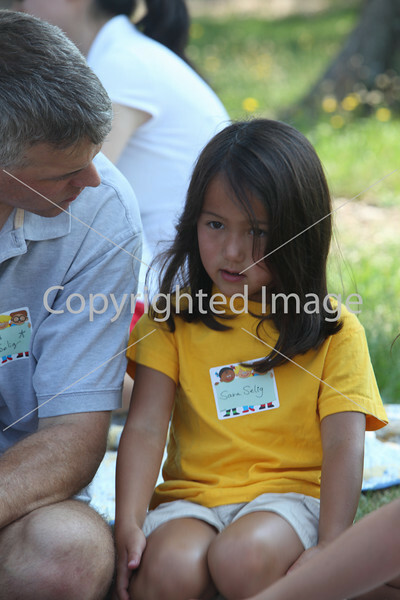 Becky Moran (left) helps her daughter Abigale look for her name tag at the kindergarten picnic. 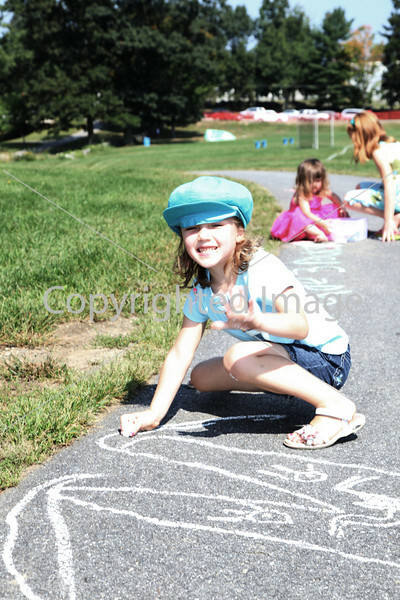 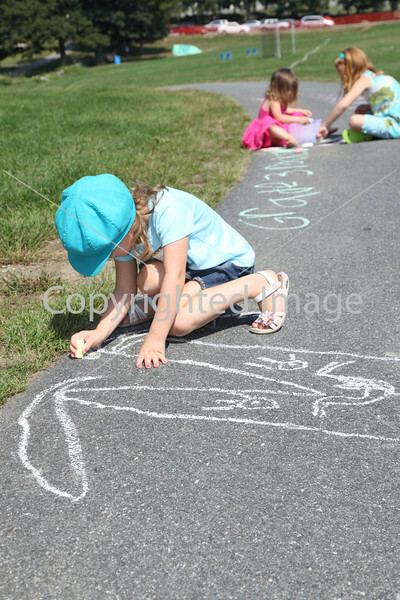 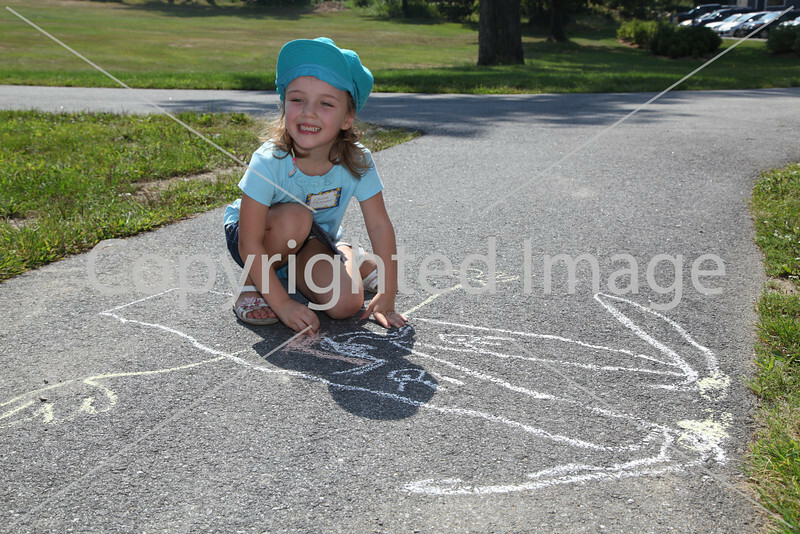 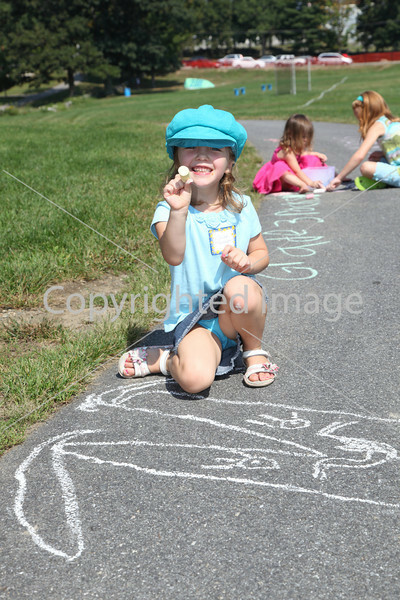 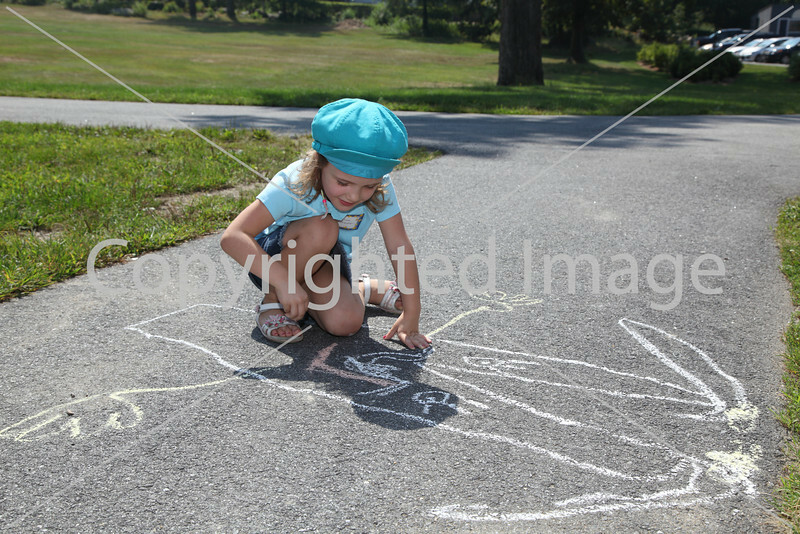 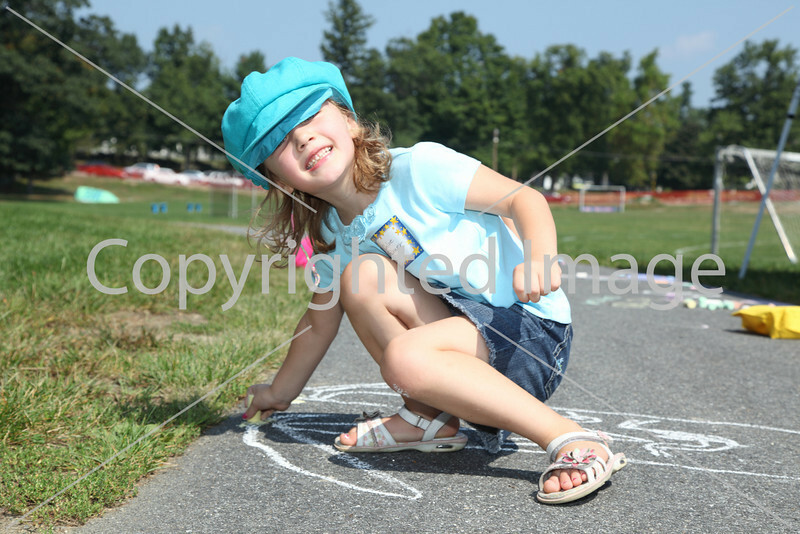 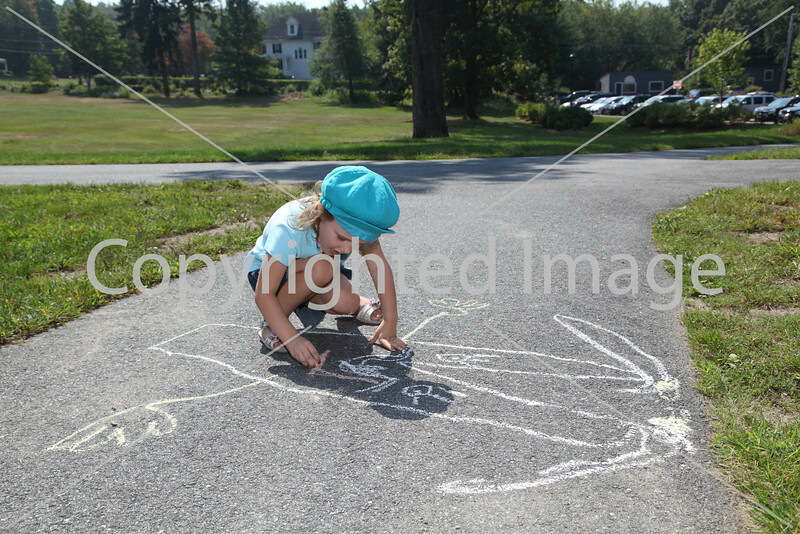 Chloe Palmer looks up from her chalk art. 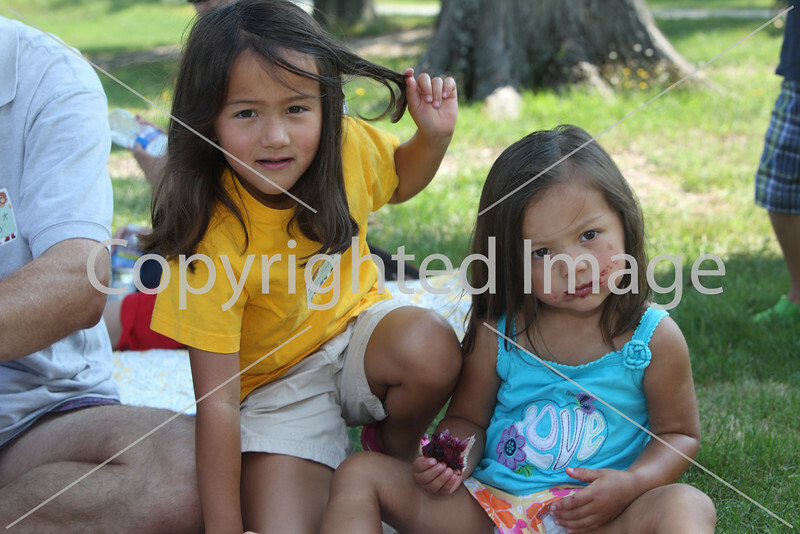 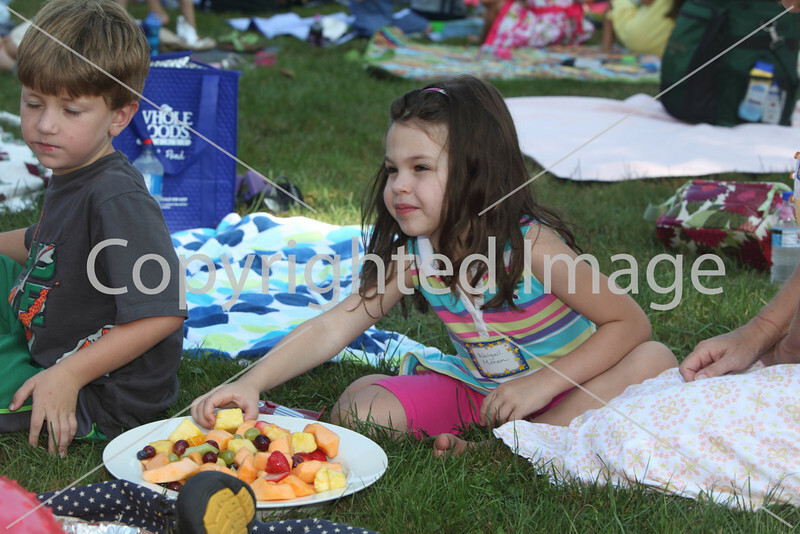 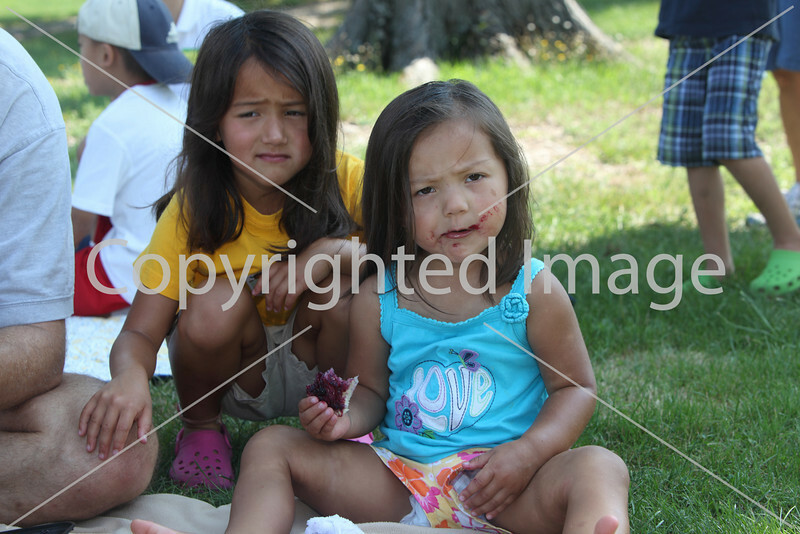 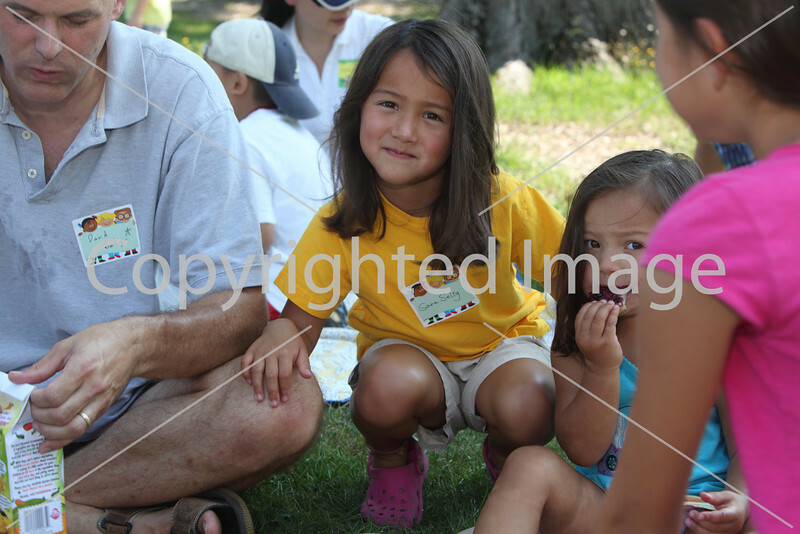 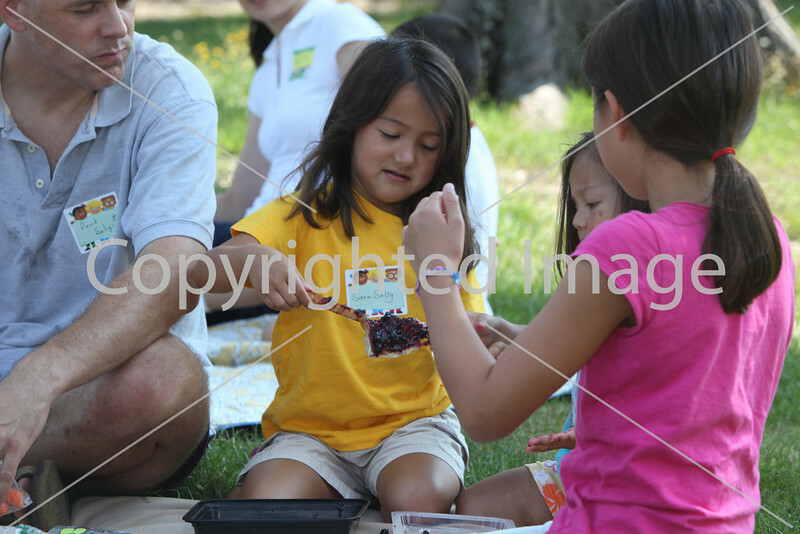 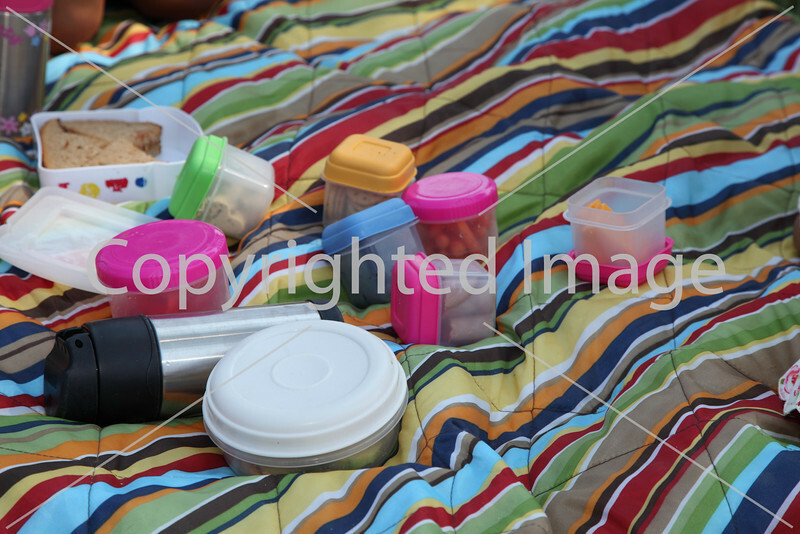 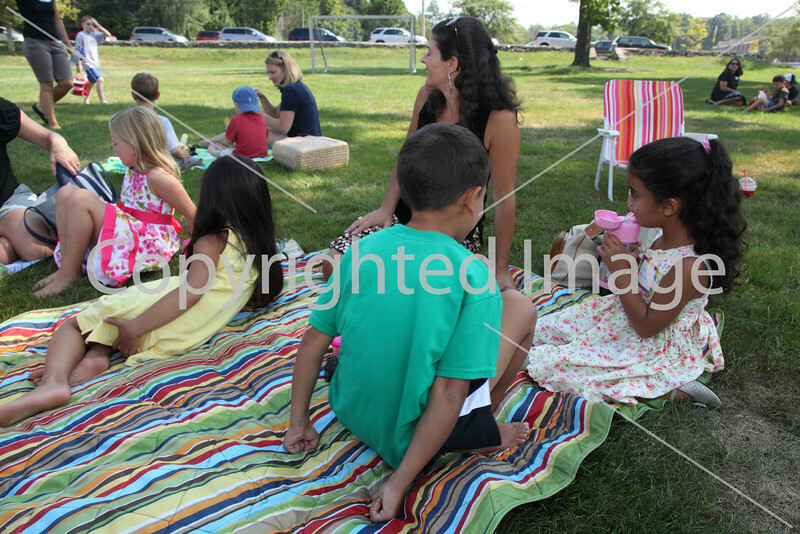 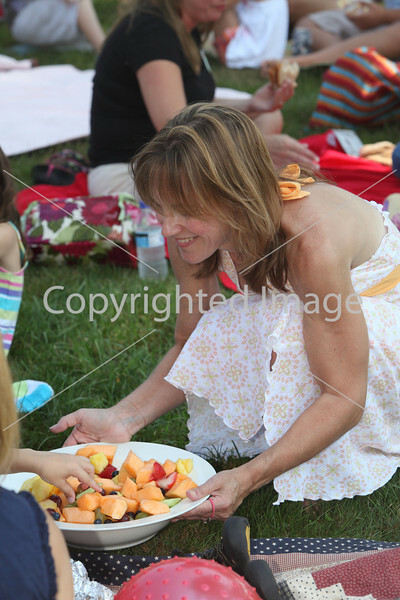 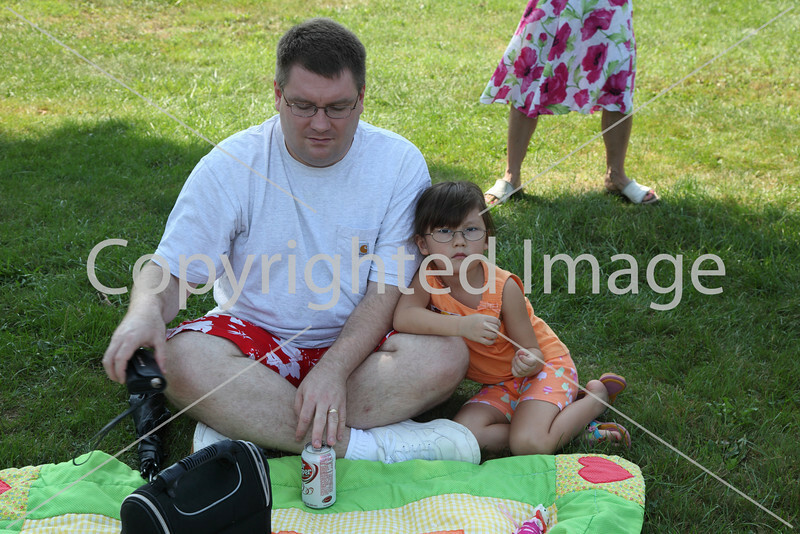 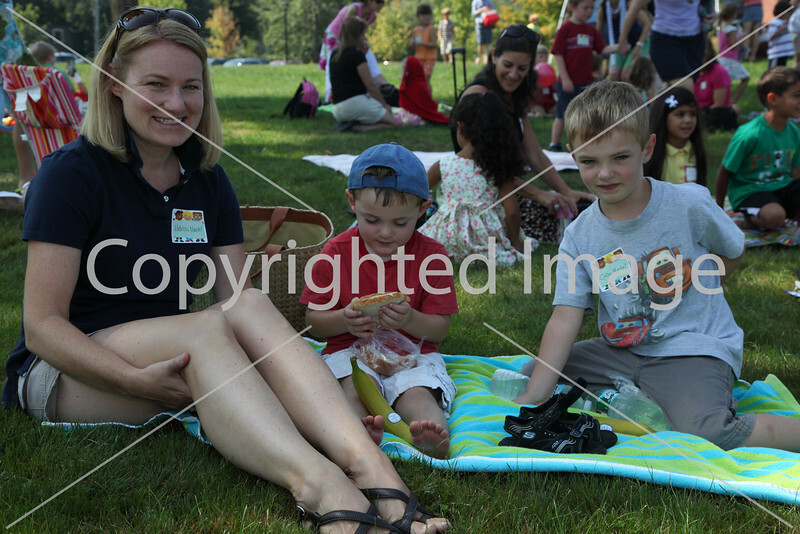 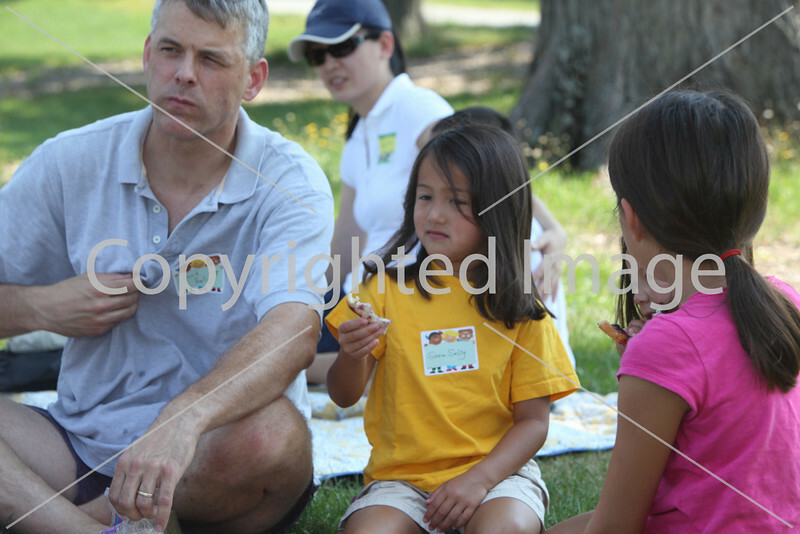 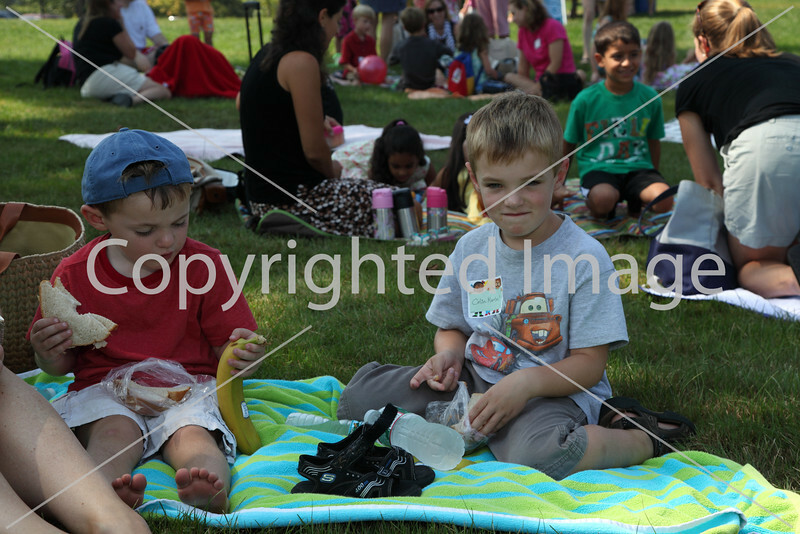 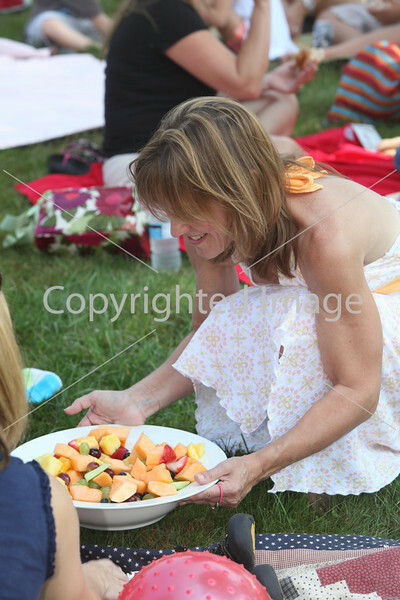 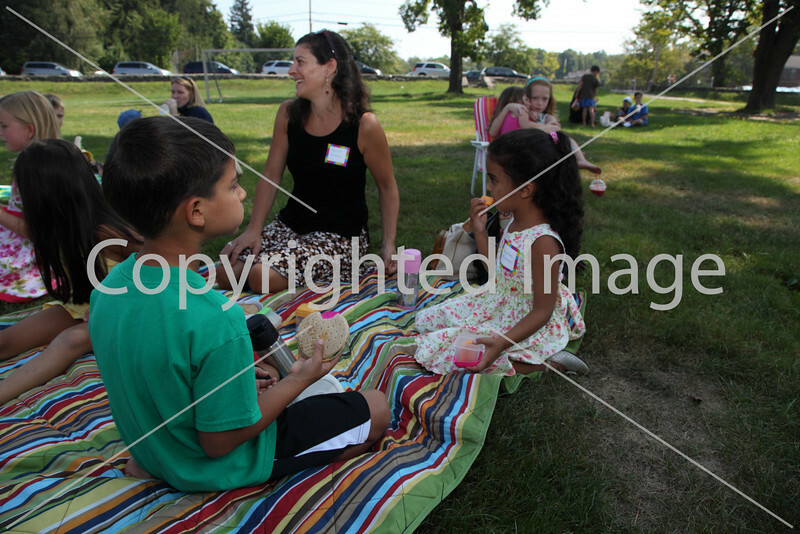 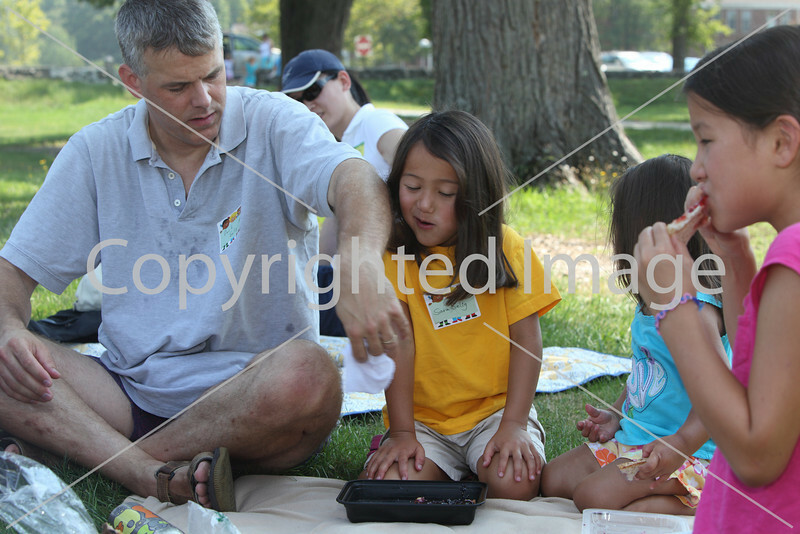 From left, David Seligs picnics with daughters Sara and Anna. 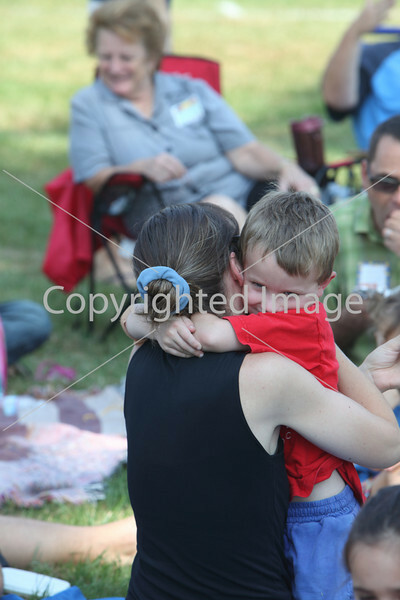 Harry Burns checks in with mom with a spontaneous hug.